Posted by Gerald Lombardo on Tuesday, April 16th, 2019 at 8:38am. 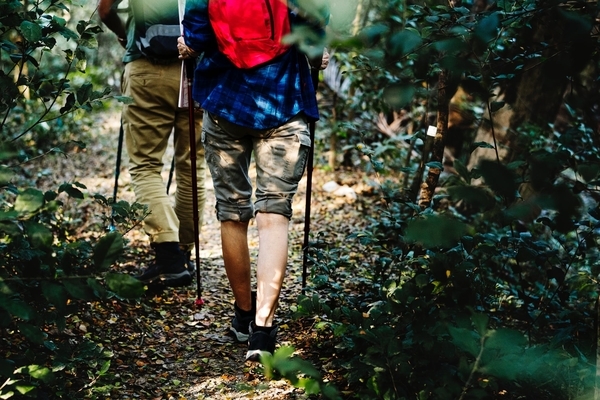 Head to the Jupiter Ridge Natural Area tomorrow at 5:30PM and join the biologists from the Environmental Resource Management (ERM) Department on a walk through South Florida’s “desert” scrubland. You should wear comfortable shoes on the hike and bring a water bottle. But don’t worry, it’s not a particularly difficult track, and it isn’t very far so as long as you are able to stay on your feet for at least an hour, you shouldn’t have any problems. After the hike the group will jump into kayaks and paddle the restored shoreline of Jupiter Ridge, as well as the meandering oxbows of the historic Lake Worth Creek Aquatic Preserve. Finally, you will finish the adventure hiking back over the ridge. Over 270-acres of scrub, scrubby flatwood, mesic flatwoods, depression marsh, and mangrove swamp ecosystems are located in this natural area. Take a walk down the path to "Ski Beach" where you might be lucky enough to see a manatee swim past as this site has the longest shoreline along the Atlantic Intracoastal Waterway of any other natural area in the County.